10 Things To See in London March 13, 2015 · 19 min. readThis article may contain affiliate links. Quick Note: I wrote this article back in 2015 and I haven't been to London since. There is a lot more that I missed and this only gives you a brief overview. If you want to see more photos and get a better idea of what to see while in London, please visit Photographing London: Iconic Locations and Hidden Gems. A strong first place is the heart of London, and of the United Kingdom as a whole; St. Paul's Cathedral. St. Paul's history is shrouded in mystery. The number of churches, cathedrals or temples that have been built on or around the present location is somewhere between three or four (possibly belonging to the Pagans or Romans), before a more permanent structure was built in 962 CE after a fire would destroy the 7th Century one. The fire of 1087 would destroy this church, and then another fire would halt progress in repairing it in 1136. It was enlarged in 1256, but was not completed until 1314. The building stood for the next 200 years and gradually decayed. The spire was destroyed by lightening in 1561, and eventually the whole building was destroyed in 1666 during the Great Fire of London. In 1669 the old church was gutted, and the current one was completed on Christmas Day, 1711. Seeing it's fair share of unfortunate events throughout history, the cathedral was not again threatened until World War II during the German Blitz when several bombs struck the building. Spotlights where stationed around the cathedral to save it from further attacks, blinding any pilots that came too close. Entry into St. Paul's is around £17, but that comes with a virtual guide to explain the many different statues, sculptures and relics that line the cathedral's walls. If you venture up the winding, claustrophobic staircases, you see a view of London unlike any other, with the Palace of Westminster, Tower Bridge, Shakespeare's Globe and The Monument to the Great Fire of London all within view. Below St. Paul's is the Crypt, which houses the final resting places of many kings, queens, knights, holy men, architects and peasants that have served in the creation of this beautiful structure. Decorated with white marble, black oak and delicate gold, St. Paul's is considered the second most beautiful church in Europe, after St. Peter's Basilica in Rome. Being equipped with unique features, such as the Whispering Gallery and the Crypt, St. Paul's seemingly connects the hells of Christianity with the heavens, leaving the people inside to choose their own mortal paths. Although I never got around to the tour, my girlfriend did and she assured me it was one of the greatest things she went to in London. For those unfamiliar, Jack the Ripper is the name given to a mysterious serial killer between 1888 and 1891 that killed between 5 and 11 people. Jack the Ripper would slice his victims apart, disembowel them and leave them to be found in the morning. Once his killings became known to the media, he began to send letters to the newspapers and police, taunting them with clues about upcoming crimes or with body parts from past crimes, such as a piece of a victim's kidney. The final identity of Jack the Ripper is unknown, as is his motives. What is known is that the Ripper had a very great intelligence about the human anatomy, and it is believed he must have been either a surgeon or a butcher by trade. His primary target were prostitutes, and his weapon of choice was a knife. Beyond that, very little is known. The mystery around this man has led to hundreds of fictional and non-fictional publications, and making him into one of history's most well known serial killers. His acts have even gone on to inspire other serial killers around the world. 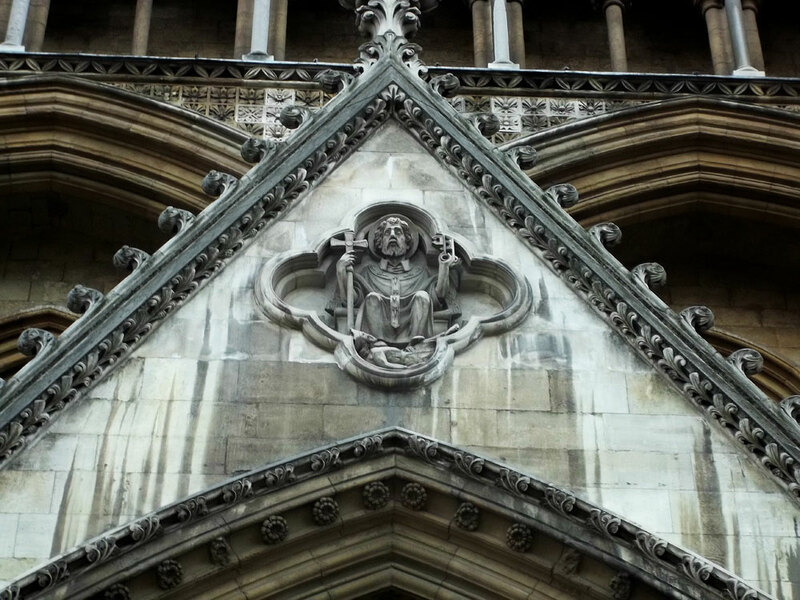 The tour takes you to the locations of the victims, from Osborne Street to Wilkes Street, and visits the Ten Bells and Christ church, a location that connected all the victims and possibly the killer. Using modern science, and "Ripper Vision", visit a bygone London and walk the streets as the victims, or as the most man-hunted person in London's history, once did. The home of the world's largest surviving monarchy, Buckingham Palace is a massive white structure, guarded by tall iron gates and scores of undercover secret agents. Entry is rare, as the Royal Family still live there, but rumor is that the inside of the grand building is falling into ruin. The importance of the Royal Family in today's world was seemingly dying off until the wedding of Prince William and Catherine Middleton in 2011, Queen Elizabeth II's Diamond Jubilee in 2012, and the birth of Prince George in 2013. Speculation still swirls about conspiracies within the family, such as the accidental death of Princess Diana in 1997 and the discovery of Robert Moore's body less than 100 yards from the palace. There are also questions about the successor of the thrown once Queen Elizabeth II hangs up the crown. Some talk is that she will go against tradition and give the crown to a different relative, skipping her son Charles, while others believe her death will lead to the end of the once powerful family all together. After the Scottish referendum of 2014 in an attempt to separate from the crown, removing such an important figure, no matter how outdated, could have catastrophic implications throughout Europe. What today is a mighty building that housed a once unmatched family, tomorrow might be nothing more than a history lesson about a family that is unwilling to let go of it's past. Built 202 meters from the location where the Great Fire of London was started, the Monument to the Great Fire of London is free to enter for those who wish to climb it's narrow, winding 311 steps. At a matching 202 meters high, the building offers an excellent panoramic view of the city. Until 1842, the gallery of the Monument was open, with reports of people flying off it in high winds. After six suicides, the Monument was closed and a gate was installed around it. Although not one of the London's most popular destinations, it is a testament to the tragedy of the Great Fire, which destroyed 13,200 houses and displaced 70,000 of the cities 80,000 people. Although tragic, the fire has a very low verified death count, of only 6 people being killed in the blaze. London's Underground Railway System, or simply "The Tube" or "The Underground", is world renowned for it's red and white roundel. Although not a tourist destination by any means, The Tube carries over a billion passengers a year to and from work, concerts, plays, performances and other cities. Connected by 11 lines and 270 stations, The Tube is the 12th busiest transit system in the world. At 152 years old, The Tube is as famous as London itself. Being built as an alternative way to get around back when Londoners used canals and roads to move throughout the city, unique marketing tactics had to be used to entice people into traveling underground. These tactics -- such as typography and posters -- have become London icons and are still used today. Across the Thames from St. Paul's Cathedral is a massive, reconstructed theater that once played William Shakespeare's timeless classics. The Globe Theater sits several blocks from the actual location, but was rebuilt as close as possible to the original -- minus the dirt floor. Paid by donors and sponsorship, the Globe sells bricks to tourists that are then added to the walls and floor of the ever growing building. Inside the structure is a wooden, outdoor theater, in which daily plays are performed. Another section holds a museum of Shakespearean clothing, culture and beliefs. One such belief is that water was very unhealthy to drink, and that only the diseased and animals drank it. In replacement of water, light beer was consumed on an hourly basis. No wonder Shakespeare wrote so cryptically; he was probably drunk most of the time! Inside are other relics from that time period, such as artifacts from the "bear baiting" practices that occurred around London at the time and outfits worn by young men who were portrayed as females during the plays. Although Shakespeare is often loathed by the younger generation, his phrases, stories, sonnets and plays have been an invaluable addition to the English language, coining such everyday phrases such as "Mum's the word", "Knock knock! Who's there? ", "All's well that ends well", and "There's method in my madness". Be sure to learn more about Shakespeare's Globe on their official website! London's most iconic building, Big Ben, was formally renamed to "The Elizabeth Tower" to celebrate the Diamond Jubilee of Queen Elizabeth II in 2012. Nobody calls it that though, just like nobody called it the "Clock Tower" before the name change. Regardless of it's name, Big Ben is an icon of the city, and is recognizable around the world. 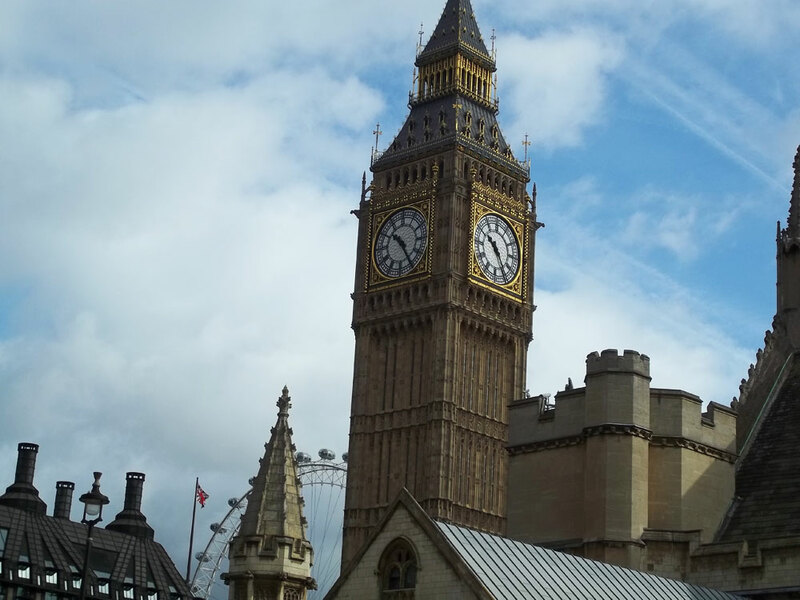 As beautiful as the clock tower may be, the Palace of Westminster that absorbs it is the real sight to see. Being as any large building in London, it also has had it's fair share of fires over the years, with one time being deemed unusable the Buckingham Palace was considered to be a possible replacement. The Blitz also did it's fair share of damage against the building, striking it 14 times, burning down wings, ceilings and smashing the glass on the Elizabeth Tower. Tours of the building are allowed, but when I approached it the line-up to get inside was excessive. I can imagine the inside is spectacular, but what mysteries are within I don't know. Regardless, the tower and the palace are iconic parts of London that must be visited while spending time in the city. 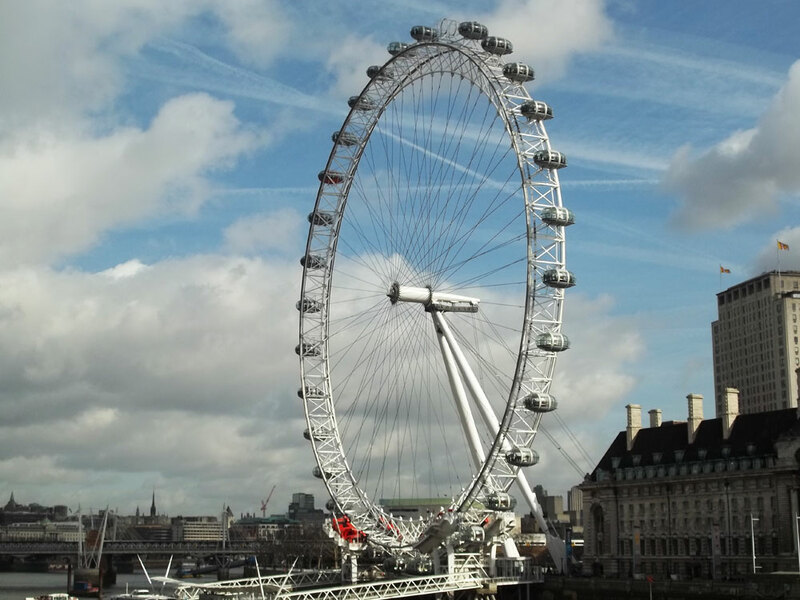 To be fair, the London Eye is a very nice Ferris wheel. At £19 a trip around the wheel, however, the feeling of amazement is quickly lost. Directly across from the Elizabeth Tower, it has rapidly became an icon of London, but mostly because it doesn't fit in. A white, circular object among century year old cobblestone and brick gives the Eye a very contrasted feeling. Almost 20 years old, the Eye is still looked at by many as a eye-sore (pun intended) of the city. Some calling the Eye the "Eiffel Tower of London", the eye has one purpose: to take people from the ground up into the sky for them to marvel at what the city has become. This, it does a good job at, but I personally would not compare it to the Eiffel Tower. It's unique in it's own way, but in a way I feel the city would not miss. If you read my blog about my trip through London, you know due to charity and the kindness of my heart, and my naivety in a strange country, I hardly had two pence left in my pocket when I arrived at this humbling building. Drenched in history, from family betrayal to public executions, the Tower of London holds a myriad of stories, artifacts and mystery. Once an iconic fortress within the city to protect royalty, it rapidly fell behind and became a armory, then a mint and now a museum. In the second World War, the tower was heavily damaged, and in 1974 a bomb went off inside it, killing one person and injuring 35. Nobody took responsibility for the blast, but it is believed to have belonged to the IRA. While not initially impressed by the Tower of London, upon returning home and learning more about it, I kicked myself for not going to an ATM and getting some money to go inside it. While not as beautiful as St. Paul's or as recent as Buckingham Palace, the Tower of London is a museum fortress, one who's history is as bloody and interesting as London itself. A fun fact is that the tower will also always have six ravens on the ground. The superstition is that "if the Tower of London ravens are lost or fly away, the Crown will fall and Britain with it". I didn't know that before writing this article. See, we are both learning things! I know there are other incredible things to see in London, like Tower Bridge, London Bridge, Madame Tussauds Wax Museum, Abbey Road, the Sun Record Company, the ArcelorMittal Orbit, Trafalgar Square, the nearby Stonehenge and town of Bath, the O2 and many other destinations, but my final must-see thing in London are the toilets. Sitting on the edge of sidewalks, these massive steel structures look more like space age pods than toilets. Put in place to stop people from peeing on bushes and trees and from bothering shopkeepers, these buildings are scattered all throughout London. I'm not sure how this toilet was "self cleaning", but when I walked into it the floor, walls and counters were wet. I believe the toilet actually washes itself! As a young male, this is the greatest thing I found in London. Although I couldn't figure out how to use the one I was in (I was worried it would suddenly start raining inside while in there), the concept blew my mind and deserves to be on everybody's list when visiting this city. If you enjoyed this article, I recommend you also read Photographing London: Iconic Locations and Hidden Gems for more London inspiration!